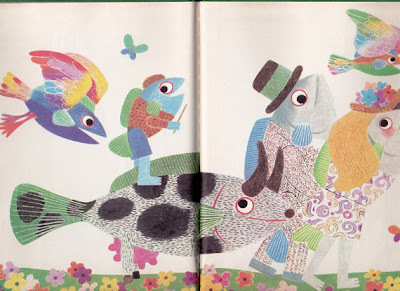 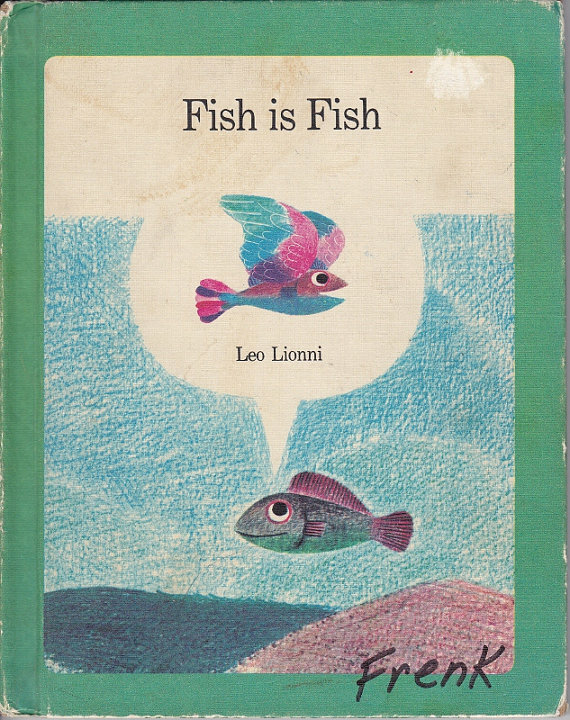 $5 will buy you this 1970's copy of Fish is Fish by Leo Lionni. Fun and colourful, it made me smile today. I got hooked collecting vintage kids book for my daughter, and have a blast hunting out awesome finds and selling them on Etsy. Going to booksales, thrift shops and garage sales is an ongoing treasure hunt for me. I'd be happy to offer 15% off my books to any of your readers that stop by my shop, just use code KICKCAN at checkout. 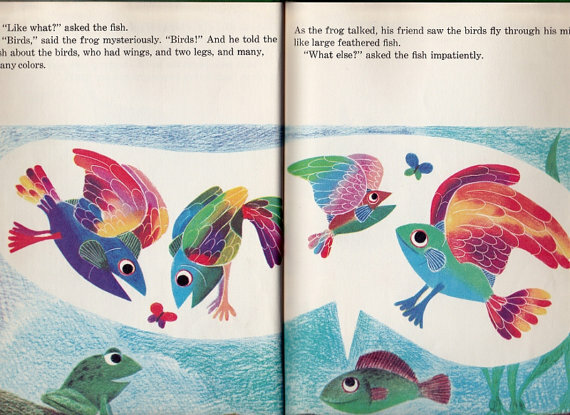 Ah, I love these colorful fishes and some with wings. 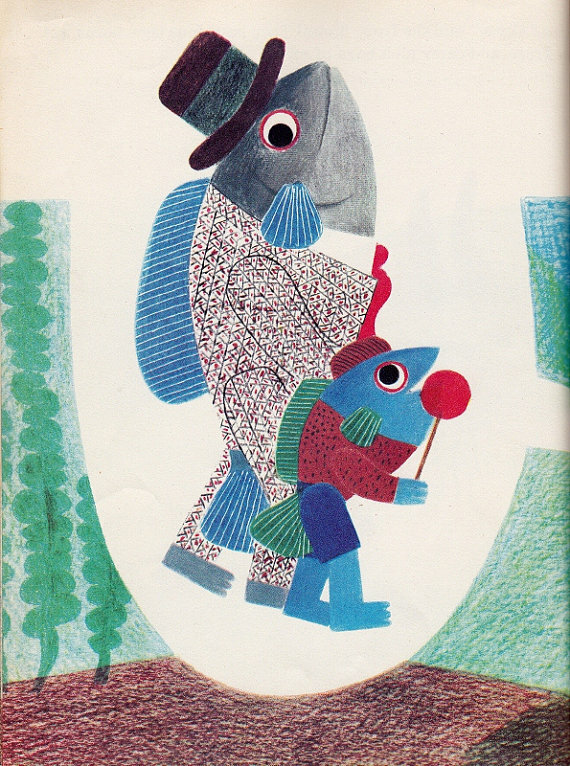 So whimsical.